According to the Biblical lineage of the Kings of Israel, Solomon, the son of David, most likely ascended to the throne at around the age of 29. Though he was, by modern standards, a young man, he sought the wisdom he needed to rule and reigned for 40 years over one of the most prosperous kingdoms of his time. For today’s young investor, the answer is the same: learn, seek advice and prepare to take some risks. Fiscal experts maintain that it’s never too early to begin planning for retirement. Changes in Social Security and pension arrangements mean that younger workers can expect to work longer – and harder – to save enough for a comfortable retirement. Fewer employees are offering full pensions, and healthcare costs may nibble away at individual savings accounts. Many new college graduates face increasing competition for jobs, with large numbers of professionals forced to settle for lower paying or part-time work outside their field – if they can get jobs at all. And unlike in previous generations, working people in most professions can expect to change jobs, if not entire careers, multiple times in the course of their working life. All these factors combine to make the road to retirement a particularly rocky one. That’s where investing can help. A recent article published on the investing site Bigger Pockets discussed the myths keeping younger people from starting an investing career in income property. Among these myths: investing is for people with more experience and knowledge, I don’t have the money, and it’s too risky. Interestingly, these are the same doubts voiced by older people considering the same path. 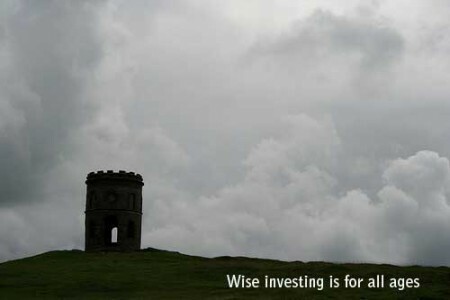 But although the image of a successful investor usually involves gray hair and business suits, it’s never too early or too late to start with a modest investment and expand holdings over time. As Jason Hartman points out in his 10 Commandments of Successful Investing, acquiring the necessary knowledge to make good investing decisions is the first step for any would-be investor regardless of age. It’s also important to create a team of qualified supporters, starting with an experienced investment advisor. Knowledgeable contractors and repair people, as well as real estate and tax professionals, can help a new investor avoid pitfalls and make wise decisions about purchasing and maintaining properties. New investors of all ages worry about finding the money to start investing. But with the current low-interest rates and readily available foreclosed properties still entering the market, a young investor can buy that first property with a relatively minimal credit background and qualify for certain types of loans, such as FHA loans, that typically don’t rely solely on credit scores for approval. Private lenders and programs tailored to specific types of investors can also help. Risk is inherent in investing. But as Jason Hartman points out, investing in income property with a fixed-rate loan is among the least risky investments to make. The investor’s own money stays in the bank, rental income covers loan payments and holding the property allows for a greater return over time. There’s no magical age to begin thinking about investing in income property. Younger and more mature investors share the same concerns about taking the first step. But like Solomon, with knowledge, planning and good advising, anyone can create an income stream from income property investing – regardless of age.